Last week we had a great workshop with decode – a marketing agency which uses scientific knowledge to increase marketing effectiveness. 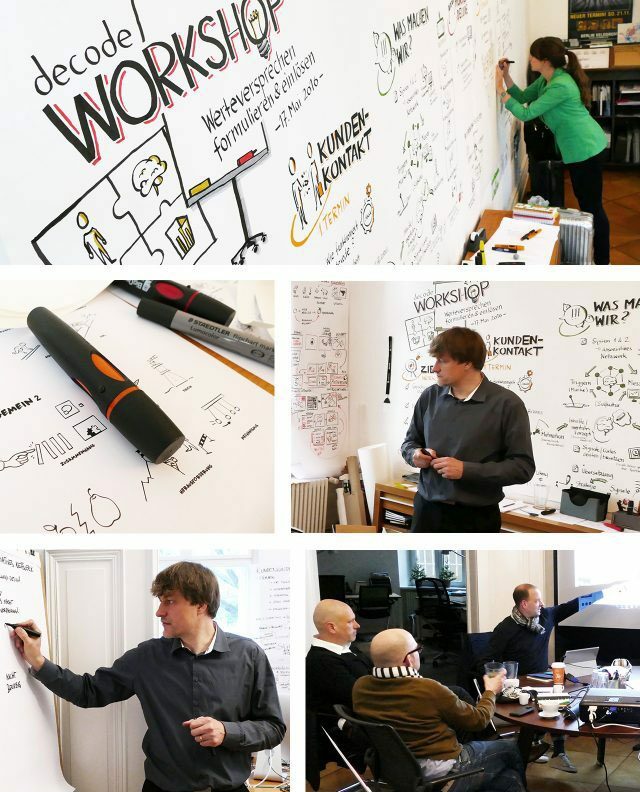 We started to do our own graphical recording – with very inspiring results. This time our briefing was – for the first time – a whole book, which was an interesting experience. 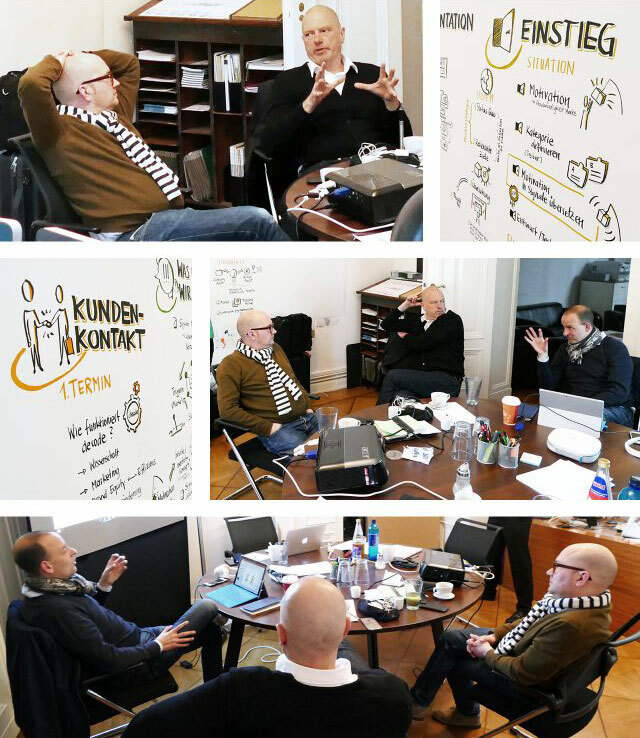 Find some impressions of the very vivid discussions beneath.